Mats Bergström Performance Editions comprises works by major composers, arranged for guitar in combination with voice, flute and/or stringed instruments. With few exceptions these arrangements have been tried out and used in concerts as well as recording sessions. The series is intended primarily for professional musicians and for music students at advanced levels. 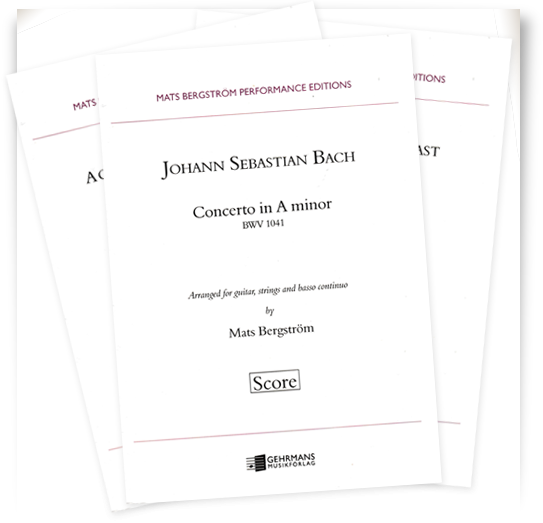 Each edition is provided with fingerings for the guitar and an Editor’s Note containing a short historical background to the work at hand in addition to information on source material. av Mats Bergström efter O.A.